The situation in Spain is due in part to the uncontrolled breeding of Galgos and their massive abandoning at the end of the hunting season. An investigation by the World Society for the Protection of Animals (WSPA) in 2001 and 2002 proved that tens of thousands of Galgos are bred annually in Spain in the hope of producing the national coursing champion. 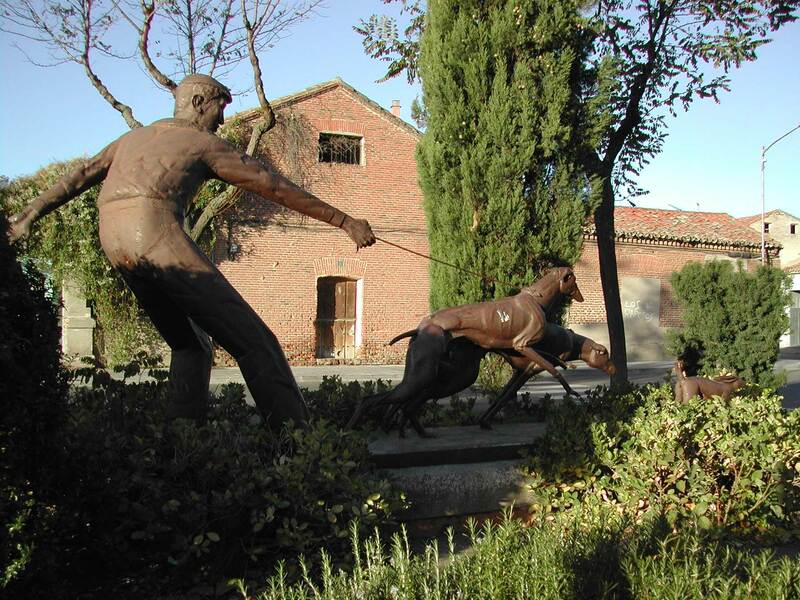 Prior to 2001 it was an annual tradition for the galgueros to kill their Galgos by hanging them en masse in the pine forests in and around Medina del Campo at the end of the coursing season. Fermín Pérez, Scooby’s President and WSPA captured vast photographic evidence and WSPA compiled a report about the treatment of Galgos in Spain. Practically everybody in the country is allowed to breed Galgos – the simple precondition is to own a male and a female. There is no control whatsoever by any authority. Needless to say that the laws intended to govern this issue do exist, however, nobody abides by these laws nor executes any control as to their violation. This is usually due to the fact that there is no possibility at all to check whether or not these laws and regulations are being violated. Dogs are now to be micro chipped and registered but again, this is not always enforced. Those dogs who are micro chipped and then abandoned, often end up with the micro chips being removed by the galguero. Scooby continuously receives calls asking us to take over or rescue dogs. Normally they are two- to three-year-old Galgos, sometimes also older ones. Some of these unwanted Galgos end up in an association like Scooby where they have at least the chance of a future, others end up in the so-called “Perreras” or “Killing Stations” where most of them are euthanized. The other even less fortunate, get killed on the roads, are abandoned, shot to death and others are hanged – the hanging of the animals continues in Spain in spite of the many campaigns.